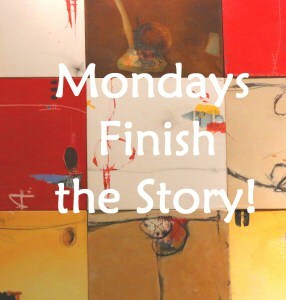 Due to family circumstances I’m a couple of days late with this week’s Mondays Finish the Story. This is a flash fiction writing challenge involving writing a story of 100-150 words from the photo and first line prompt kindly provided by the host, Barbara Beacham. If you fancy having a go at this yourself, just click on the link above and get typing! Instructions about how to post your story are on the page. 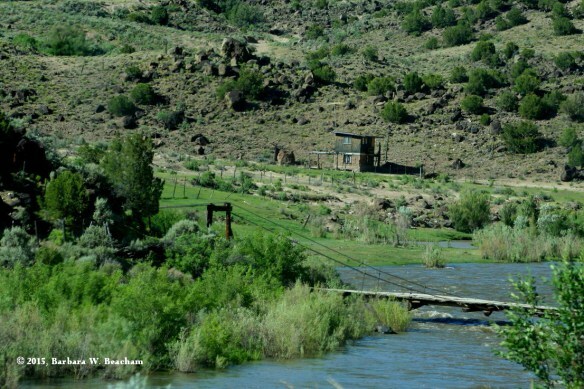 Diamond Jack had his hideout next to the Rattle Snake River. ‘Reminded him of his Pa, I guess. Real big guy, he said, fast as lightning and a killer bite. Other entries can be read here. Thank you Barbara. I was in the middle of editing my story when you commented earlier. I’d only forgotten the sentence prompt! So sorry for the delayed reply. Thanks Alexander. Poor old Jack, I think. This was a fun one, Millie.. I like the idea that this little snake could create such a fuss! I’m afraid I felt sorry for the snake. From what I’ve read, rattlesnakes only attack when threatened or cornered. Thank you for your nice words, John. Thank you for liking my first-ever attempt at cowboy style anything, Mara! My only experience of the lingo is from watching old Westerns. Thank goodness for John Wayne! As for my novel . . . I’ll get gack to it soon. Shite is such a descriptive word, Mara! I bet you’ve used it beautifully. I’m sure I could find you several more colourful ones. Ha. You’re right, though. There are so many regional dialects here. I’m a ‘Northerner’, so I’d probably struggle to get the Cockney rhyming slang right. And I wouldn’t even attempt a Geordie dialect without prior tuition! Poor Jack! He only wants to be left alone, I’m sure the two who died disturbed him. Maybe he’ll slither out of a dark corner and get the drop on these two. I love your Wild West lingo! I hope Jack gets away, too. I agree, he’d be no harm to anyone just left alone. It’s my first ever attempt at the Wild West lingo, so please make allowances for inexperience! Thank you for your kind comment, Ali. Thank you Sonya. I’m really bad at killing things off. I couldn’t kill the wolf last week! A big softy, that’s me. Glad you like it! This is wonderful! “Casey frowned,” I love what you did there. I love that you made Diamond Jack a snake! It brought a lot of humor and interest to the story. Also, I’m sorry for your loss–I saw your earlier comment on this post. Poor Jack I think they will go from varmint to vermin issues when the rats applaud the result of the hunt. This is my favorite twist so far. Wonderful! A clever twist, Millie. I think it would be more powerful if “Biggest Diamondback Rattler he’d ever seen” was written as “Biggest diamondback rattler he’d ever seen”, as this would add more emphasis to it being a snake and not a person. What do you think? The twist was really well done for me because, with the reference to Jesse’s Pa, I thought Jesse might have set them up to shoot his father! The snake took me by surprise. I was waiting for someone to make Jack a snake! Thanks for not disappointing me. Very creative Millie. I like the comparison to his Pa. Makes you wonder what else is going on in his life….. Awesome passage of writing. Thanks for the laugh when I read the final line. I so enjoy your writing and your ‘one liner’ revelations. Thank you, Amanda! It was fun trying out my best / first-ever Cowboy accent!